Unique earrings and ear pins. Find the pair you like and start shopping locally with our stores! To put an accent to your look, you can easily wear earrings that suit your style. Especially if you like to have your hair braided, then we recommend to wear earrings with a pendant. Earrings can be perfect accessories to complete your look. 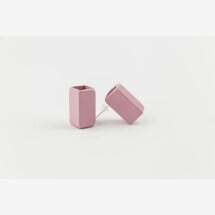 Women usually have a lot of earrings for different occasion and different outfits, and that’s why you also need to take a look at our page of Earrings categories. Steal the spotlight by wearing the right accessories! The matching earring are easily found here in Sugar Trends. From the classic pearl stud earrings to unusual design. If you do not like flashy earring, then small plugs may be right for you. In combination with the matching necklaces and bracelets, and you are ready to go! Simple earrings can be worn with jeans and T-shirt or even business attire to candle lit dinner dress. In our earring category, you will find the matching earrings for any occasion and wear it your way!